By hosting a Food or Fund Drive for Second Harvest Food Bank of Metrolina, you can have fun while making a difference for your neighbors in need. Want to Host A Food Drive or Pet Food Drive? If you want to host a physical food drive or a pet food drive along with a fund drive that is welcomed too! Please review the Food & Fund Drive Coordinator's Manual for answers to the most commonly asked questions. 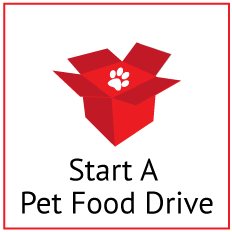 Then click on "Start A Food Drive" or "Start A Pet Food Drive" below to get started. 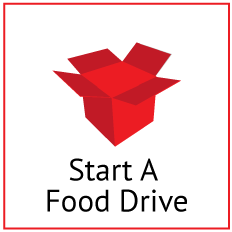 Once your completed form is received by our Food Drive Coordinator, we will get you set up in our system and send you the information on our next steps. It is really that simple. Want to Host a Fund Drive? Funds are our greatest need and a wonderful way to multiply your giving! In the big picture, we are able to provide 7 pounds of food into the community for every $1 donated! Funds help keep refrigerated trucks on the road allowing us to pick-up and distribute fresh produce, dairy and meats to our partner agencies. We are also able to purchase products by the pallet - securing much needed items at great pricing. Funds result in critical and healthy foods reaching more people in need. 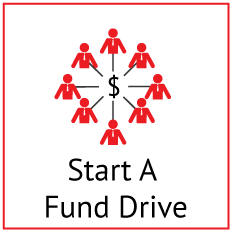 An online Fund Drive is also an easy and environmentally-friendly way to host a Drive. You can collect funds at your location or host a Fund Drive online. If you would like to host an online Fund Drive, please click "Start A Fund Drive" below. Once registered you will have the ability to customize your personal or team fundraising page and share it via email and your social media accounts with the simple click of a button. Please download our Food & Fund Drive Coordinator's Manual for more information on how to make the most of your drive. Click Here to start a fund drive.